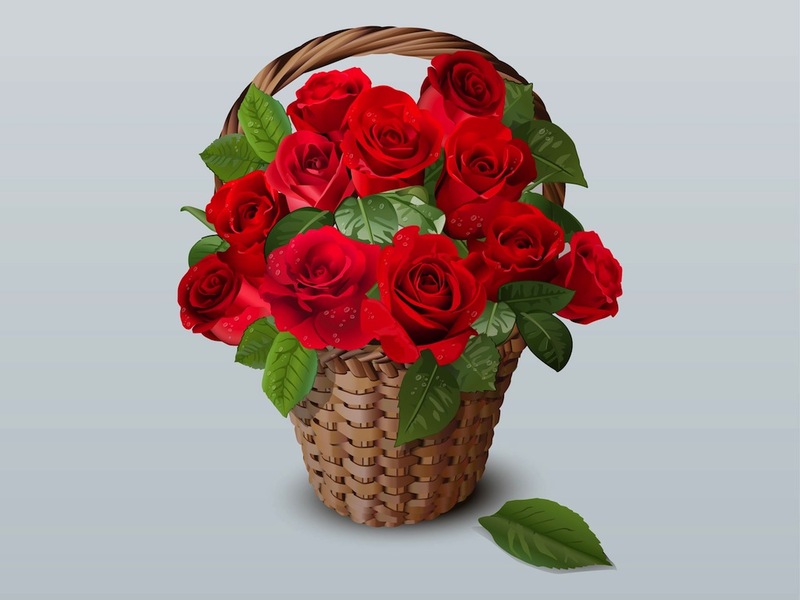 Realistic vector graphics of a woven basket with a big bouquet of lush roses. Blooming flowers with open buds and velvety petals and fresh big leafs. Small water drops from rain or dew on the flowers. Free vector image for all romance, romantic, love, Valentine’s Day, nature, flowers and bouquet designs. Tags: Dew, Drops, Flower Shop, Fresh, Realistic, Romance, Roses, Valentine, Water.